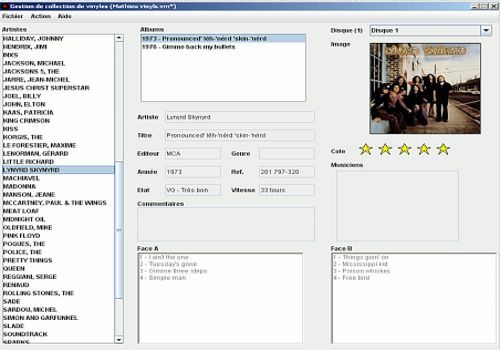 Vinyl Manager is a vinyl collection management software. Find all the features you need to manage your collection and enjoy a visualization tool on your smartphone. The proposed interface is well thought out, a simple glance will allow you to visualize the various information concerning the pieces of your collection (artists, titles, year, album cover, state of the disc, etc.). All the tools necessary for the proper management of your collection will be included in the software. Ideal to complete your discotheque at any time. BDPerso is a program to manage your comic book collection, with a "young" and customizable interface that will make it even easier to use. This program allows you to manage various lists - Books, CDs, DVDs, cassettes, K7 videos and others... and the address book.